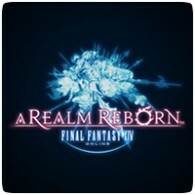 Square-Enix has announced that beta testing for the PS4 version of MMORPG Final Fantasy XIV: A Realm Reborn will begin in February 2014, in addition to upgrade plans for PS3 owners. Beta testing will begin on February 22nd 2014,and a free transition program will be in place for gamers wanting to upgrade from the PS3 version to the PS4 version. Gamers who own the PS3 version won’t need to re-buy the PS4 version, and you’ll be able to transfer your characters and progression to the platform too, so you can continue where you left off. The beta will launch in time for the Japanese release of the PS4, but the beta will be available in North America and Europe too.